Safety is paramount to running an efficient business. Using a preventive facility maintenance checklist keeps you on top of all of the issues that need your attention. Catching routine maintenance items early saves money in the long run. Check out the sample checklist below, along with products that can help lower maintenance costs. 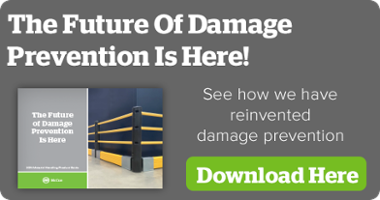 Bollards – Shield vulnerable areas of your warehouse from collisions with strategically placed bollards. Our bollards flex and spin upon impact, deflecting damage without harming your equipment. And they’re easy to install and require no maintenance. Rack Protection – Keep your pallet racking from tumbling down by installing rack end protectors, shock absorbing rack guards and rack mounted guards. Rails and Barriers – Create highly visible traffic lanes and cordon off employee areas with our rails and barriers. These innovative designs are easily adapted to fit most spaces. At McCue, our in-house design solutions are our passion. From warehouses to retail outlets to parking lots, protecting your assets and saving you money is our job. We provide the highest-quality asset protection and damage prevention for your facility. As a valued partner, we are committed to exceptional customer service. From the top shelves to the bottom line—you’re always covered. What’s first on your checklist? Get a quote today.